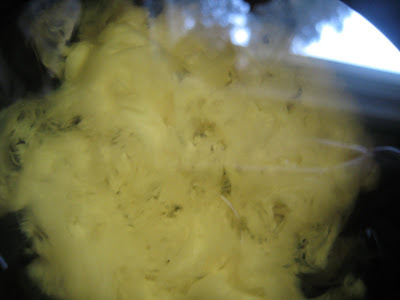 i made that beeswax polish for colden's blocks today (loosely based on this). 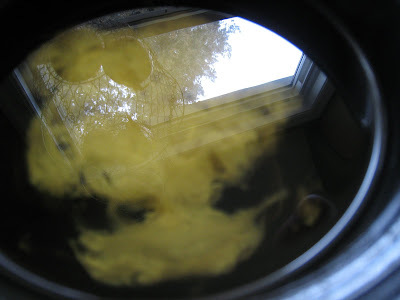 the beautiful oil and wax swirls grabbed my attention, and my camera caught the reflection photo (above) while i was trying to capture the waxy cloud formations (below). thanks, camera! there were lots of kitchen happenings today. we made sauerkraut. 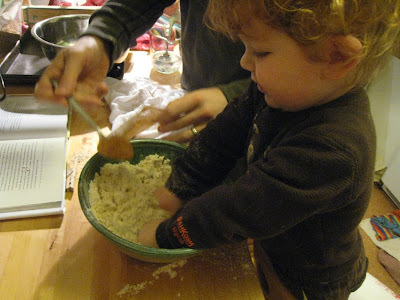 and papa and colden did some birthday baking (with library hold: babycakes). 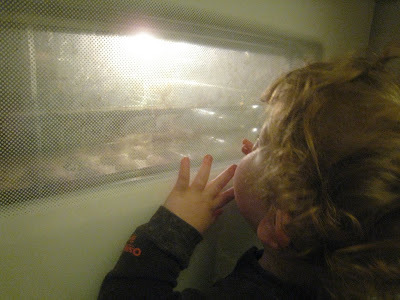 papa started calling the window on the oven the "magic window" when colden was just getting interested (/dangerous) in the kitchen. its wonders never cease.